What does it take to build a healthy smile? 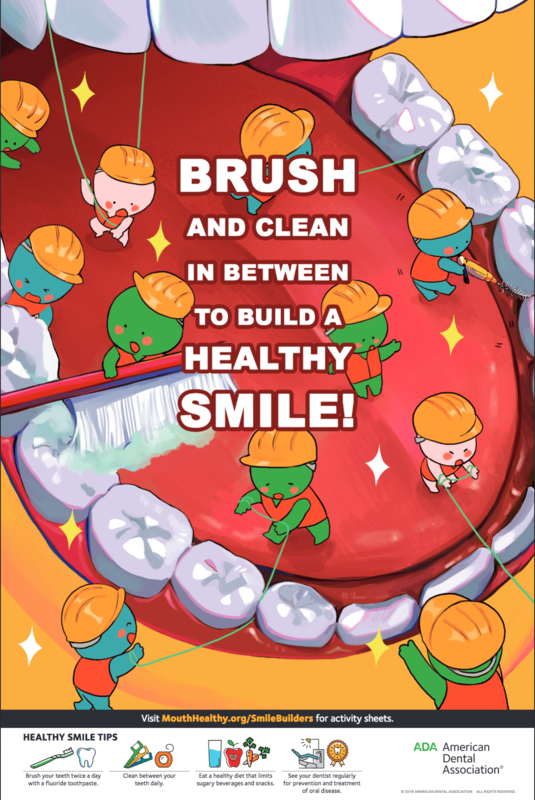 Now’s the time to get your free National Children’s Dental Health Month posters, activity sheets and other resources featuring the Smile Builders! Dental professionals can order free, full-color NCDHM 2019 posters and download four fun Smile Builders coloring and activity sheets at ADA.org/NCDHM. All materials are available in both English and Spanish. Looking for more ways to celebrate NCDHM throughout February? Download the 2019 NCDHM Program Planning Guide for easy activities, program planning timetable tips, a sample NCDHM proclamation and more.